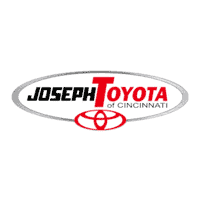 Joseph Toyota of Cincinnati is proud to offer drivers of the Cincinnati, Fairfield and Colerain, OH areas a wide ranging selection of new Toyota vehicles, including the hot selling 2019 Toyota Highlander, 2019 Toyota 4Runner and 2019 Toyota Tacoma. As you browse our inventory, be sure to check out our various lease offers and Toyota specials, and once you’ve found something, use our payment calculator and trade value tool to get a head start on financing! If you have any questions along the way, don’t hesitate to give us a call or stop by our Cincinnati, OH Toyota dealership to speak with one of our knowledgeable team members!